Gerry Pond has extensive experience in the ICT industry. Pond is the Chairman and Co-Founder of Mariner Partners Inc., and has co-founded a number of successful ICT start-ups, including iMagicTV, Q1 Labs, Brovada Technologies, Radian6, Shift Energy and Cirrus9. He is also the Co-Founder of Propel ICT, the Co-Founder of the Pond-Deshpande Centre at the University of New Brunswick, and the Co-Founder of East Valley Ventures. He is a Director of Upside Foundation, NB Business Council and the National Angel Capital Organization. 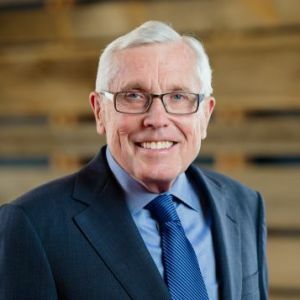 Among many awards and achievements, including the Queen's Golden Jubilee Medal, the Order of New Brunswick, the Business Development Bank of Canada Entrepreneurship Champion, the 2017 EY Atlantic Lifetime Achievement Award, Gerry was recently appointed a Member of the Order of Canada.